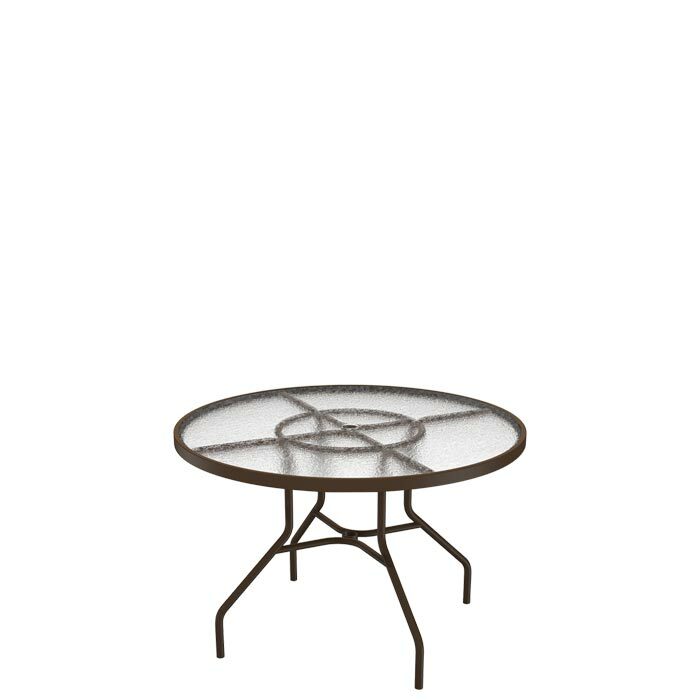 This resilient Acrylic Round 42" Dining Table from Tropitone features an attractive "hammered" textured acrylic top. The thick acrylic top is weather and shatter resistant, making the outdoor patio table as tough as it is stylish. When ease of maintenance, durability and safety are of concern, acrylic tops are the ideal solution for any outdoor culinary setting. With an umbrella hole to house a beautiful Basta Sole® Umbrella, the Acrylic Round 42" Dining Table can be used all year round.